This year is something of a milestone for me. It was 1989 when I aired my first radio show, called "Adventure Radio" on KORG in Anaheim, California.. I was just learning the business and I have to say it was a blast. I began to talk about unsolved mysteries, last treasures, unidentified flying objects and of course, ghosts on that first show and the audience loved it. I began my radio journey during afternoon drive time doing a one hour show each afternoon, Monday through Friday. The problem was that the audience wanted ore stories and guest interviews and the station had no additional time to give to me. As a result, I switched to 9:00 PM - 11:00 PM in the evening. The response was overwhelming. I began my career with a co-host, a lovely young lady who I thought could help me build the show into something that I could syndicate nationally onto other stations. In the beginning, a show is not profitable, hard work is required to make an income stream from such a venture. Of course to even do a show on one station requires an enormous amount of work and unfortunately, she believed that as "talent" she was not required to work outside the studio, selling ads or getting guests for example, but she most assuredly expected to have ownership of half of the show handed to her as her due. Well, it did not work like that. She did take me to the labor board claiming ownership of half of the show. They laughed at her demands. My second full time co-host was a remarkable young lady who wanted to use the show as her springboard to Hollywood fame and fortune. She also began to play politics with various power players in the area, and worst of all, she began to decide which advertisers I should do business with in order to enhance her own personal image. To her the show came second and her potential Hollywood career came first. She was a superb manipulator, but in the end, her manipulation brought that first show to an end. My next radio venture was creating what we might call a podcast today for broadcast on various stations. This venture opened up an entirely new world for me. I began to understand how best to create shows and how to use those shows in order to develop a stream of income. I also first saw the potential of internet radio. Since those early days, I have been on a number of stations and witnessed why radio was surpassed by television/ It was not the fascination with the visual imagery, but rather it was the attitude of the station managers that treated radio like a toy. On a daily basis, the average listener is in range of a radio much more than a television. The American fascination with radio is still a powerful factor, but when left in the hands of complete jackasses, this medium is still in danger of fading away. Now I do an internet radio show at http://www.kenhudnall.com (this is my website and a link there takes you to the show). I broadcast from 6:00 PM Mountain time - 9:00 PM Monday through Friday. Come and join us. EL PASO - Nostalgia is a wonderful thing when you are well along in life. The memories of youth many times built around classic films are resurrected during the very rare film festivals held from time to time. Well, more than 80 classic films will be shown in El Paso in August. The Plaza Classic Film Festival will be held August 2 – 12 at the historic Plaza Theater. The festival was created in 2008 to celebrate this country’s rich cinema history and rekindle the joy of going to the movies. Movie going in El Paso was a special time as the historic Plaza theater was an integral part of culture in El Paso for many years and seeing a movie there was a special event. The Plaza Theatre, located in downtown El Paso, just up the street from the iconic Camino Real Hotel, was built during the Great Depression begun by Louis Dent and finished by Paramount-Publix of New York, at a cost of $1 million. In its youth the Plaza was referred to as one of the most beautiful theaters in the country and heralded as the “Southwest’s most perfect theater”. When it opened on September 12, 1930, crowds swarmed the theater, enjoying its “atmospheric” architectural style. The design of the main auditorium was such that it made you feel that you were sitting in the courtyard of a Spanish hacienda. There was little argument that the Plaza Theatre was the grandest of the region’s movie palaces and the crown jewel of El Paso’s theater district. The Plaza was originally intended to accommodate road shows and grand opera but it was primarily intended to show motion pictures, However all things must come to an end and after a continuous run of over four and a half decades, the Plaza closed for good in the late 1970s. In a move toward modernization, there was even a plan in the works to demolish the grand old theater. However, the plan to do away with what had long been part of El Paso life for over 4 decades angered a number of residents and grassroots efforts arose to save the Plaza from the wrecking ball. In answer to the demands of the community, the El Paso Community Foundation stepped in to take up the challenge of saving, preserving and finally restoring the Plaza Theatre to its original grandeur. After many years of effort and almost $30 million in renovation costs, the Plaza Theatre once again reopened as the Plaza Theatre Performing Arts Center on March 17, 2006. The Plaza Theater is now the home of the El Paso Symphony Orchestra and El Paso’s finest venue for music concerts and Broadway shows, however, movies have not been forgotten. The El Paso Community Foundation took the lead to fully restore this venerable movie palace to its historic glory: in the spring of 2008 the Foundation purchased and installed a state-of-art film and digital projection system and an enormous 50’ wide screen. For generations of El Pasoans, going to the movies, meant going to the Plaza Theatre. It was the first public building in El Paso to have air conditioning and refrigerated water fountains. Such things are long remembered by the older movie going public. So it was with great anticipation that people looked forward to going to the movies at the Plaza once again. Thanks to the overwhelming community and corporate support during the Plaza Classic Film Festival’s first year, the festival has become one of the most anticipated events in the region’s cultural calendar. The Plaza Classic Film Festival is more than a nostalgia trip down memory lane for older El Pasoans. One of the goals of the festival is to educate audiences about the history and art of the cinema and reawaken the joy of watching great films. With the help of special presenters and through educational outreach programs and film talks, the festival provides many opportunities to expand your knowledge and appreciation of these “classics”. The Plaza Theatre is, without a doubt, once again one of the finest movie palaces in the country. It is also interesting to note that the Plaza Classic Film Festival is a non-commercial, all-volunteer effort and a special project of the El Paso Community Foundation. All proceeds from the festival go to the Plaza Film Fund to be used to provide grants to local filmmakers, underwriting for alternative film festivals and to support educational film initiatives in the area. This year the Plaza Classic Film Festival will include more than 80 films including Breakfast at Tiffany’s. Duck Soup, To Kill a Mockingbird, American in Paris and many others. Among the presenters will be such luminaries as Tippi Hedren, star of Alfred Hitchcock’s classic “The Birds”, Eva Marie Saint, star of Alfred Hitchcock’s classic “North by Northwest”, Mary Badham of “To Kill a Mockingbird” and last but not least, the one and only Oscar winning actor Al Pacino. 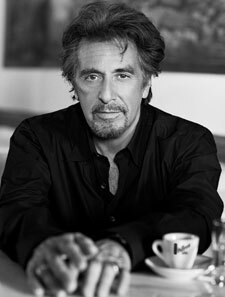 Mr. Pacino will perform an intimate evening detailing his illustrious career in Al Pacino: One Night Only at the historic Plaza Theatre in El Paso, Texas, on August 4, 2012 at 7:30 pm. During this 10 day festival, the Plaza Theater, the gem of the southwest will once again shine as brightly as she did almost 80 year ago. Come be a part of the brilliance as once again, we go down memory lane during a night at the movies. This year was the 65th anniversary of the alleged crash of an Unidentified Flying Object at Roswell, New Mexico. As has been the custom for many years, around the fourth of July, a dual celebration of this event was held in Roswell, one sponsored by the town and the other by the UFO Museum and Study Center. The Galaxy Fest, the event sponsored by the UFO Museum and Study Center, held its opening ceremonies in the UFO Museum at 9:00 AM, Friday, June 29th. Each year the Museum invites stars from the world of science fiction as well as the leading researchers and authors in the field of UFO phenomenon. Attending this event was Denise Crosby, the actress that played Tasha Yar on the first season of the television program Star Trek: The Next Generation. She signed autographs and talked with the fans of that long running show. There were also a number of UFO researchers and authors present, including Tom Carey, Diana Perla Chapa, Stanton Friedman, Paola Harris, Frank Kimbler, Kathleen Marden, Steve Pierce, Kevin Randle, David Rudiak, Robert Salas, Freddy Silva, Don Schmitt, Derrel Sims, Yvonne Smith, abductee Travis Walton, Larry Holcombe, myself, Sharon King, Tom Kirkbride, K. Lorraine, Jull Amariah Mara and Linda Mooney. The event attracted visitors from as far away as Australia and introduced a large number of people to the various aspects of the UFO mystery through displays, books and lectures. As might be expected, the lectures covered the gamut of topics related to the alleged crash of a craft from another planet. Additionally, since UFOs tend to be lumped in with what are referred to as “new age” subjects, there were talks regarding other “new age” subjects that were not directly related to UFOs, such as Freddy Silva’s talk on “The Coding of Earth: Crop Circles, Sacred Sites and the Coming of Human Evolution”. Kathleen Marden, the niece of abductees Betty and Barney Hill spoke on “The E.T. Agenda: Why Don’t they land on the White House Lawn?” and “Captured: The Betty and Barney Hill UFO Experience”. Larry Holcombe spoke on “The Nixon Administration and the TV Documentary UFOs: Past, Present and Future” and “The History of Modern Presidents and the UFO Enigma”. David Rudiak spoke on “The Ramey Memo”. Travis Walton and Steve Pierce discussed Walton’s abduction by aliens which became a book and a movie entitled “Fire in the Sky”. Stanton Friedman, the “rediscoverer” of the Roswell Crash discussed “Man’s Place in the Universe”. Linda Mooney discussed “How to Love an Alien”. Frank Kimbler presented a talk on “Roswell Artifacts”. Diana Perla Chapa talked about “The Mayan Predictions: Extra Terrestrial Input” and “The Mayan Predictions and the Importance of the Pyramid Shape”. Don Schmitt and Tom Carey presented two talks, one entitled “Deathbed Confessions: The Truth of Roswell Finally Revealed” and the other was “Roswell Generals Talk: What They Said Really Happened”. I spoke on “UFOs and the Supernatural”. Paola Harris presented “A UFO Update – The International Perspective”. Kevin Randle presented “Reflections of a UFO Investigator”. Yvonne Smith presented “Chosen: Recollections of UFO Abductions through Hypnotherapy”. Derrel Sims talked about “Alien Implants: New Secrets Unveiled and Cases on the Horizon” and “Who Is the Alien?” K. Lorraine presented talks on the “Lonely Alien” and “The Apple Trick”. Robert Salas presented “UFOs, Nuclear Weapons and Extreme Secrecy”. Jill “Amariah” Mara presented talks entitled “Meet Benevolent Extraterrestrials” and “Telepathic ET Contact”. Tom Kirkbride presented “Science Fiction Heroes and Today’s Politics” and “Freedom and Science Fiction”. Lest readers begin to think that Roswell is just known for an alleged UFO crash, the area also has a tremendous amount of history. A group of pioneers from Missouri attempted to establish a settlement, called Missouri Plaza, about 15 miles southwest of what is now Roswell in 1865 but were forced to abandon the site because of a lack of water. Cattleman John Chisum had his famous Jingle Bob Ranch, the largest ranch in the country, about 5 miles from the center of Roswell, at South Spring Acres. The first buildings to be established in Roswell were two adobe buildings built in 1869 by Van C. Smith, a businessman from Omaha, Nebraska, and his partner, Aaron Wilburn. The two buildings became the settlement's general store, post office, and sleeping quarters for paying guests. In 1871, Van C. Smith filed a claim with the federal government for the land around the buildings, and on August 20, 1873, he became the town's first postmaster. Van C. Smith was the son of Roswell Smith, a prominent Indiana lawyer and Annie Ellsworth, daughter of U.S. Patent Commissioner Henry Leavitt Ellsworth. Smith named the town Roswell, after his father's first name. During World War II, a prisoner of war camp was located in nearby Orchard Park. The German prisoners of war were used to do major infrastructure work in Roswell, such as paving the banks of the North Spring River. Some POWs used rocks of different sizes to create the outline of an iron cross among the stones covering the north bank. Later, the iron cross was covered with a thin layer of concrete. In the 1980s, a crew cleaning the river bed cleared off the concrete and revealed the outline once more. The small park just south of the cross was then known as Iron Cross Park. On November 11, 1996 the park was renamed POW/MIA Park. The park displays a piece of the Berlin Wall, presented to the City of Roswell by the German Air Force. In the 1930s, Roswell was a site for much of Robert Goddard's early rocketry work. Roswell was a location of military importance from 1941 to 1967, at which time Walker Air Force Base was decommissioned. After the closure of the base, Roswell capitalized on its pleasant climate and began to gain a reputation as a retirement community. There are always questions as to how Roswell became so well known in regard to UFOs, to the following is quick synopsis of the Roswell Incident. On July 8, 1947, the Roswell Army Air Field (RAAF) public information officer Walter Haut in Roswell, New Mexico, and the father of the current director of the Roswell UFO Museum and Study Center issued a press release stating that personnel from the field's 509th Bomb Group had recovered a crashed "flying disk" from a ranch near Roswell, sparking intense media interest. The following day, the press reported that Commanding General of the Eighth Air Force Roger M. Ramey stated that, in fact, a radar-tracking balloon had been recovered by the RAAF personnel, not a "flying disc." A subsequent press conference was called, featuring debris said to be from the crashed object, which seemed to confirm the weather balloon description. The Roswell incident was quickly forgotten and almost completely ignored, even by UFO researchers, for more than 30 years. Then, in 1978, physicist and Ufologists Stanton T. Friedman interviewed Major Jesse Marcel the former intelligence officer at RAAF who was involved with the original recovery of the debris in 1947. Marcel expressed his belief that the military had covered up the recovery of an alien spacecraft. His story spread through UFO circles, being featured in some UFO documentaries at the time. In February 1980, The National Enquirer ran its own interview with Marcel, garnering national and worldwide attention for the Roswell incident. Additional witnesses added significant new details, including claims of a huge military operation dedicated to recovering alien craft and aliens themselves, at as many as 11 crash sites, and alleged witness intimidation. In 1989, former mortician Glenn Dennis put forth a detailed personal account, wherein he claimed that alien autopsies were carried out at the Roswell base. In response to these reports, numerous questions from the media and after congressional inquiries, the General Accounting Office launched an inquiry and directed the Office of the Secretary of the Air Force to conduct an internal investigation. The result was summarized in two reports. The first report, which was released in 1995, concluded that the reported recovered material in 1947 was likely debris from a secret government program called Project Mogul, which involved high altitude balloons meant to detect sound waves generated by Soviet atomic bomb tests and ballistic missiles. The second report, released in 1997, concluded that reports of recovered alien bodies were likely a combination of innocently transformed memories of military accidents involving injured or killed personnel, innocently transformed memories of the recovery of anthropomorphic dummies in military programs like Project High Dive conducted in the 1950s, and hoaxes perpetrated by various witnesses and UFO proponents. The psychological effects of time compression and confusion about when events occurred explained the discrepancy with the years in question. These reports were dismissed by UFO proponents as being either disinformation or simply implausible. However, numerous high-profile UFO researchers discount the possibility that the incident had anything to do with aliens. 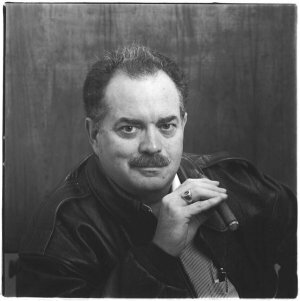 In 1978, nuclear physicist and author Stanton T. Friedman interviewed Jesse Marcel, the only person known to have accompanied the Roswell debris from where it was recovered to Fort Worth where reporters saw material said to be part of the recovered object. Over the next few years, the accounts he and others gave elevated Roswell from a forgotten incident to perhaps the most famous UFO case of all time. By the early 1990s, UFO researchers such as Friedman, William Moore, Karl T. Pflock, and the team of Kevin D. Randle and Donald R. Schmitt had interviewed several hundred people who had, or claimed to have had, a connection with the events at Roswell in 1947. Additionally, hundreds of documents were obtained via Freedom of Information Act requests, as were some apparently leaked by insiders, such as the disputed "Majestic 12" documents. Their conclusions were that at least one alien craft had crashed in the Roswell vicinity, that aliens, some possibly still alive, were recovered, and that a massive cover-up of any knowledge of the incident was put in place.